Back Bay Books, 9780316324465, 112pp. "Sparkling and combustible" (Bloomberg Businessweek), "DISGRACED rubs all kinds of unexpected raw spots with intelligence and humor" (Newsday). "In dialogue that bristles with wit and intelligence, Akhtar puts contemporary attitudes toward religion under a microscope, revealing how tenuous self-image can be for people born into one way of being who have embraced another.... Everyone has been told that politics and religion are two subjects that should be off-limits at social gatherings. But watching these characters rip into these forbidden topics, there's no arguing that they make for ear-tickling good theater" (New York Times). "Add a liberal flow of alcohol and a couple of major secrets suddenly revealed, and you've got yourself one dangerous dinner party" (Associated Press). Ayad Akhtar is a screenwriter, playwright, actor, and novelist. He is the author of the novel American Dervish and was nominated for a 2006 Independent Spirit Award for best screenplay for the film The War Within. 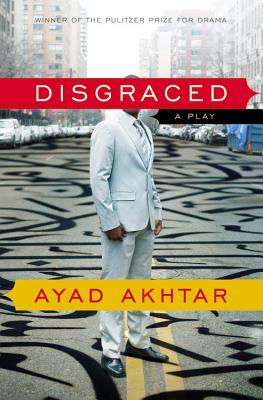 Disgraced was produced at New York's Lincoln Center Theater in 2012 and was awarded the 2013 Pulitzer Prize for Drama. Akhtar lives in New York City.